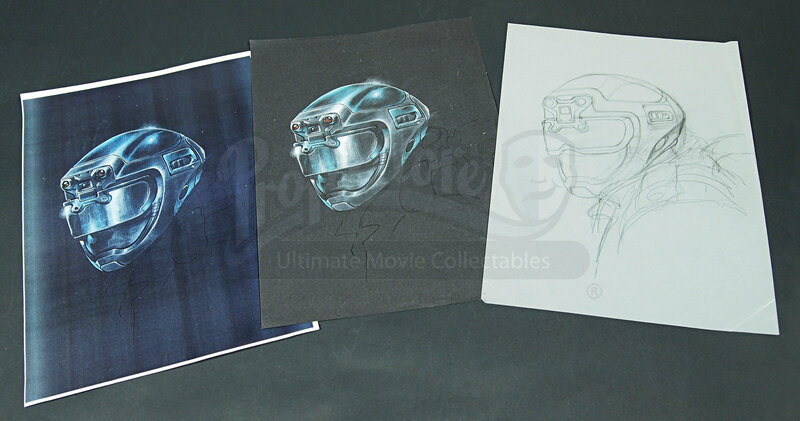 Three concept sketches of the helmet worn in the Sean Connery crime romance: Entrapment (1999). This artwork comprises three sheets of concept art depicting the helmet worn at the beginning of the movie, during the daring art heist. 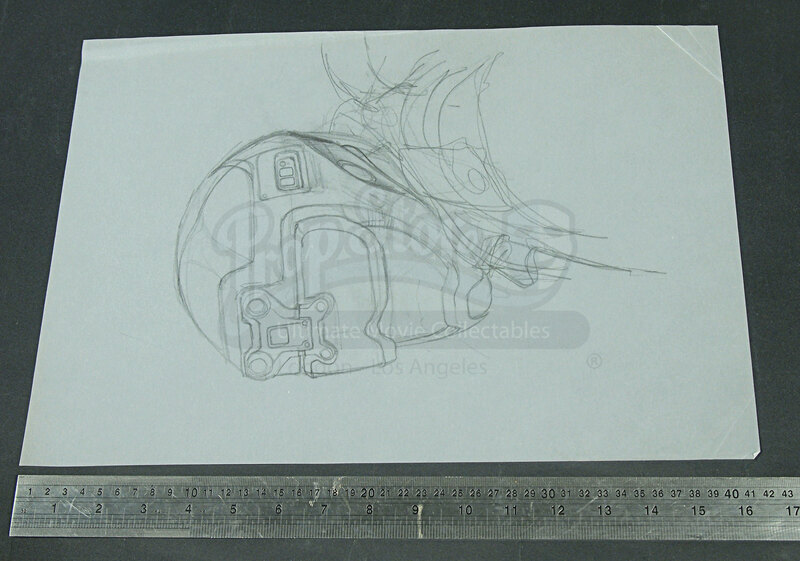 The first sheet is a pencilled tracing with minor detail. 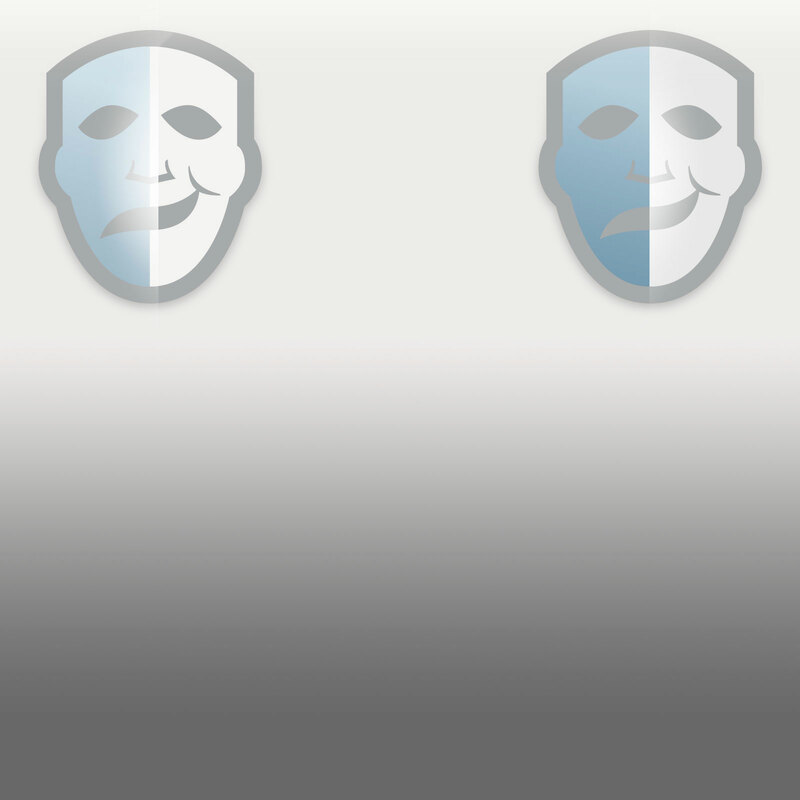 This page shows some very light creasing with a tiny fold on the bottom left corner. 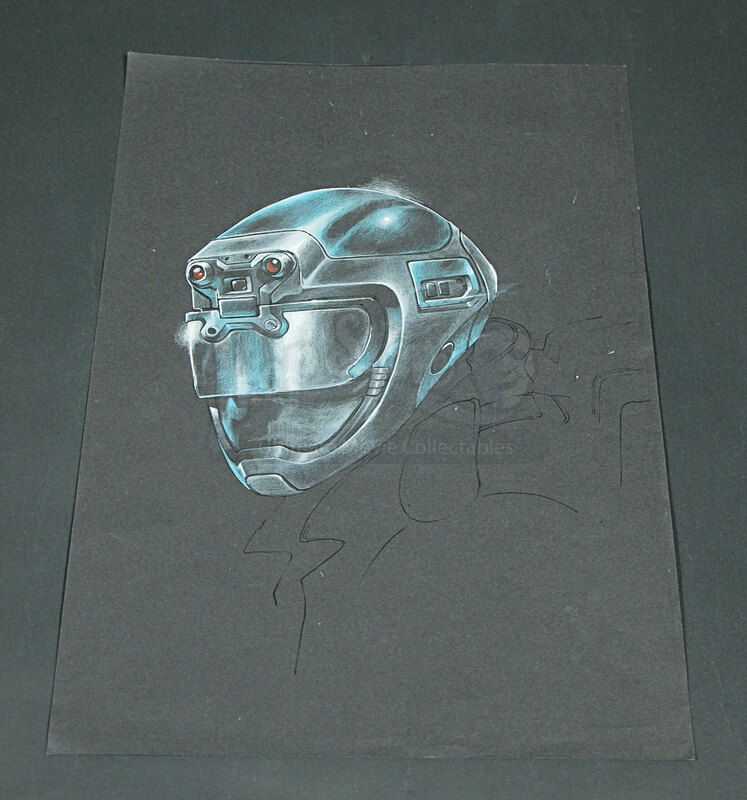 The second sheet is black card with the helmet filled in with a chalk 'effect' colour. 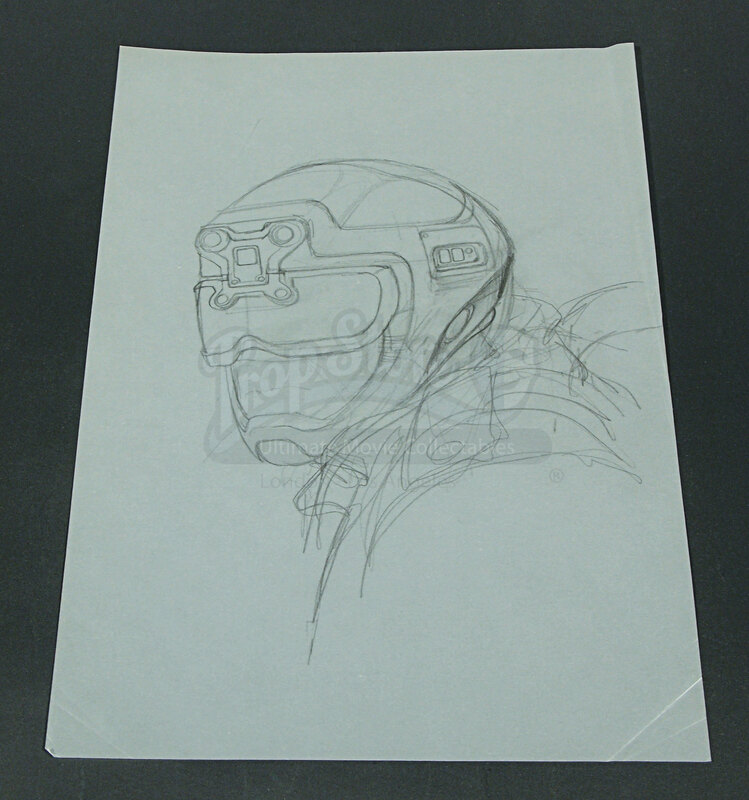 This being more detailed shows reflections on the helmet and visor. The third and final piece is a printed version with a shiny finish and white border which has light refraction as well as more 'depth'. 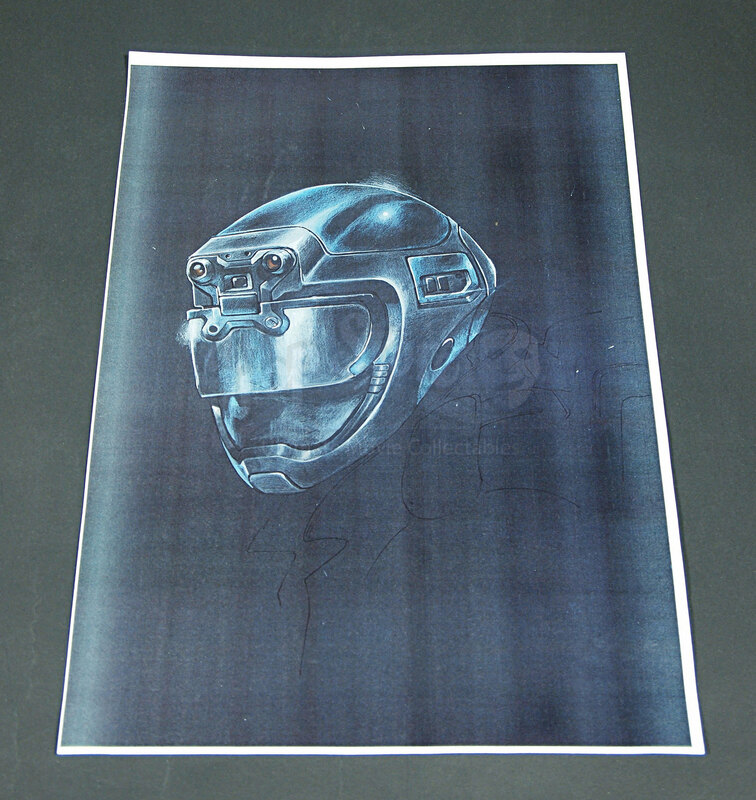 The collection is in good condition and measures 42cm x 29.3cm (16.5” x 11.5”).